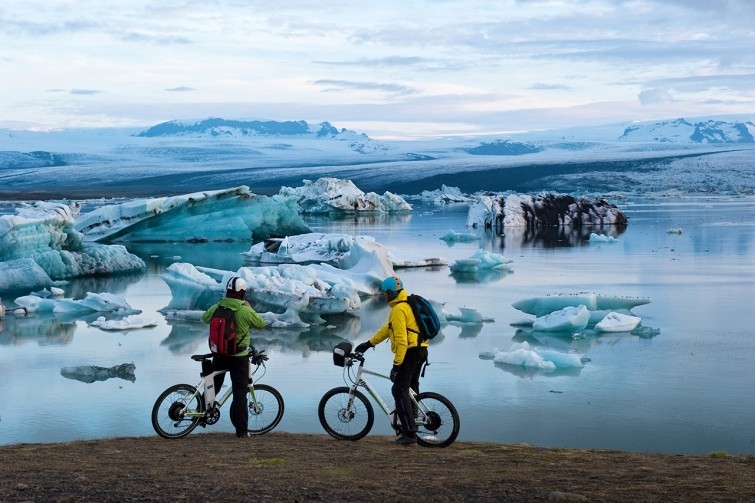 This year at Interbike (large bicycle tradeshow in the US) I had a chance to catch up with Susanne, Uwe, and Andreas and ask them about their adventures in Iceland. Unfortunately, Ondra was not able to attend Interbike, since he was ”on duty” as a captain on a sailing yacht in Croatia! In the following video interview, the team talks about the unique landscape & daylight hours (! ), their adventures, the challenges, how the eFlow bikes held up to the harsh conditions, and more! Here is the Iceland Challenge documentary trailer to give you a feeling of what the tour was like. And here is the interview with Susanne Brüsch, Uwe Schlemender and Andreas Gutmann from Pedelec Adventures. 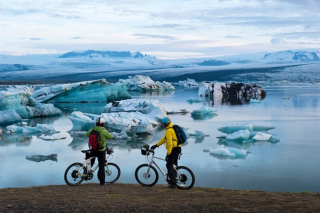 The full length documentary film of the Iceland Challenge will be available this holiday season, 2013. Checkout this post for a BUNCH of amazing pictures from the Iceland Challenge. I see the video maker had a lot of fun making a cool video but it tells me very little about the bike. I have three ebikes and know what to look for but the MTV style quick edits and only flat riding bits tell me little. For 2014, the bike is updated a bit with a 36v14.5Ah battery pack and will be available in either high speed or high torque versions. Also, graphics are updated. It was our mission to create an image film that transfers the fun of riding an electric bike. It was not our goal to produce a product video that would serve as a user manual for a particular e-bike. As Larry mentioned above, there are other places to learn about the specifications of the eflow bikes. Our film is also a statement that electric bikes in general and eflow pedelecs in particular can manage all kinds of terrain and rough weather conditions.